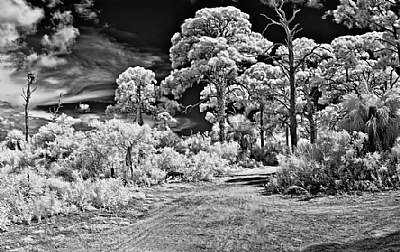 About Shot with a BW Infrared converted D200,processed in CS5/Nik Collection. Very nice. I like how the trees look against the sky. You are most welcome Paul..check this out.. Very interesting Robert. What's involved in the conversion? Appreciates the lovely comment Michele..thx. Thx Jill,glad you like it.